Lynley, the eighth earl of Asherton, has brought to Howenstow, his family home, the young woman he has asked to be his bride. 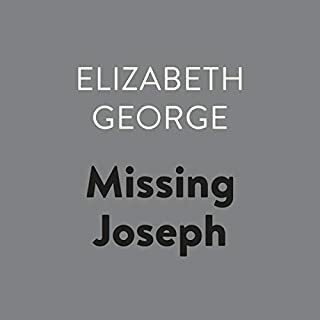 But the savage murder of a local journalist is the catalyst for a lethal series of events that shatters the calm of a picturesque Cornwall village and embroils Lynley and St. James in a case far outside their jurisdiction - and a little too close to home. 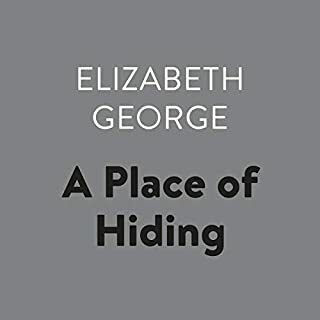 When a second death follows closely on the heels of the first, Lynley finds he can't help taking the investigation personally - because the evidence points to a killer within his own family. 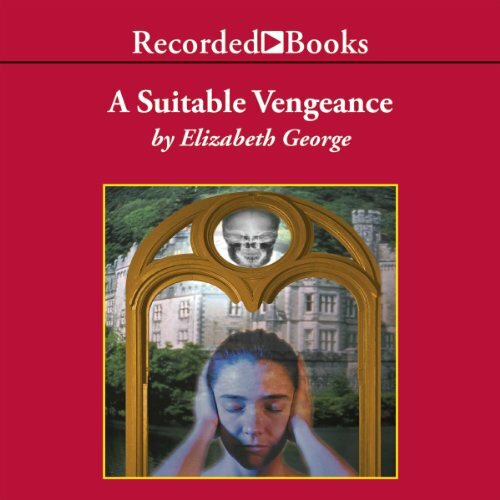 Would you consider the audio edition of A Suitable Vengeance to be better than the print version? I don't know. I wished I had the printed book a couple of times so I could remind myself who a particular character was. There are a lot of characters being introduced. 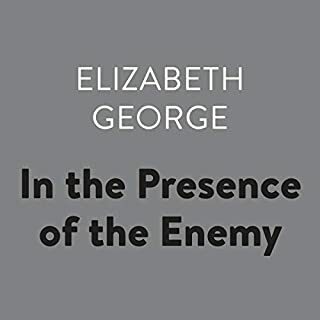 What other book might you compare A Suitable Vengeance to and why? 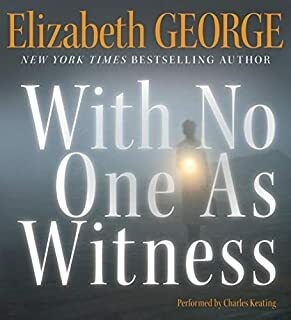 I'm not sure about a book, but I would loosely compare Elizabeth George's characters and story lines to an episode of Sherlock Holmes or Midsummer Murders. It's way too long for that, but I definitely didn't want to put it down. 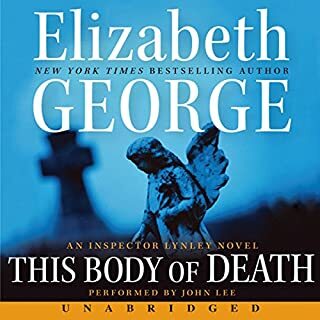 I enjoy Elizabeth George and the Lynley series. This author has become one of my favorites. She's an excellent writer with believable character development. You begin to feel as though you know them all personally and get emotionally involved in the story. 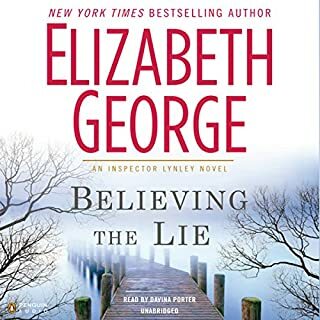 This wasn't my favorite Lynley mystery, but believe me George doesn't write a bad book, they're all great mysteries with lots of twists and turns. This is the 4th book in the series but the story actually precedes the first 3 books so you could read it first. Vintage Lynley -- 1991 was a VERY good year! This book belongs in the annals of the "good old days" of Thomas Lynley novels. 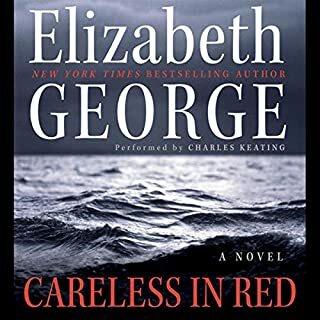 Obviously, characters and situations change in series--but in reading this book (about the 4th or 5th in the series) I was reminded how very much this series has altered over the years, not always for the best. Many of the main people in the more recent books were never even a part of the early ones. And these are the characters that we originally got to know and love--sadly, they rarely, if ever, appear any more. 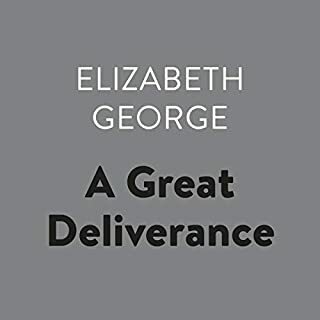 That being said, this book opens with Inspector Thomas Lynley (who is actually Lord Asherton) bringing his fiancee to his ancestral home, to celebrate his engagement. 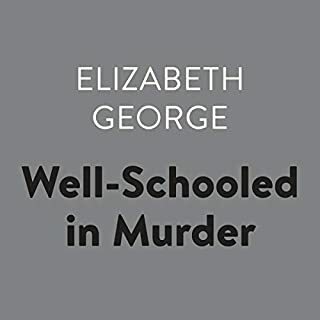 Murder presents itself fairly quickly, and Lynley finds himself trying to handle this new challenge. 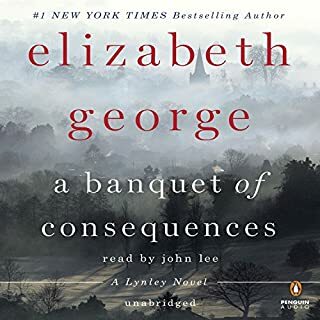 Present are those whom I consider to be the core characters of the early books--Deborah Cotter & her father, who is the butler for Simon Allcourt-St.James, Helen Clyde--who assists in police investigations (and will become more important in future books) and Lynley's family. 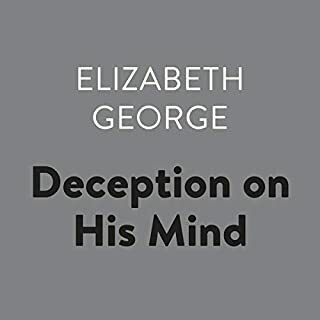 This book in particular lays out more of the back story of who Lynley is, how he has come to have some attitudes that show up in other books but with fewer explanations. And frankly, just as a mystery novel, this one is far superior to her more recent selections. I've read every one--am a great fan of the series--but I had forgotten how much more engaging the early ones were. 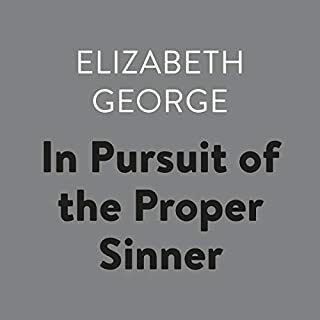 Somewhere along the line, Elizabeth George decided to go in a different direction with characters and plots. I understand change happens, but I sure do miss these old, original books. Plan to listen to them all for the sheer pleasure of the interaction among this set of people. 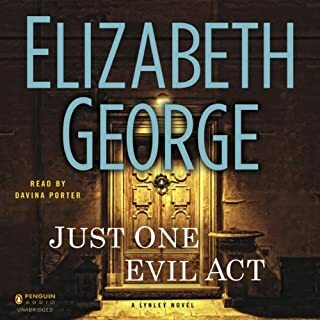 Just one tiny thing--Davina Porter, who is an exceptionally good narrator, does not seem at her best in this one. I found a few of the voices uncomfortable to listen to--however, not so much that I would lower the stars because of it. She is still a very good reader of this book. Highly recommend! The murder itself is very simple. 80% of the book is spent on the relationship among the 3 main characters. Kind of bored by it. But the narrater did a great job. She's the only reason that kept me finishing the book. What did you love best about A Suitable Vengeance? 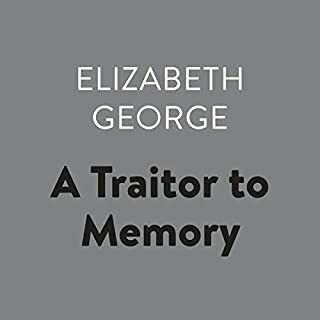 It's an excellent, complex story that highlights the history of Elizabeth George's characters, while also containing a murder mystery of its own. It's not precisely an "edge of your seat" kind of mystery. It develops slowly, with in-depth explorations of characterizations. Simon Vance if a man. Jennifer Ikeda if a woman. Or someone, anyone, who can manage to portray a warm male voice. Thomas Lynley is, surprise surprise, the central character of the Lynley Mysteries. 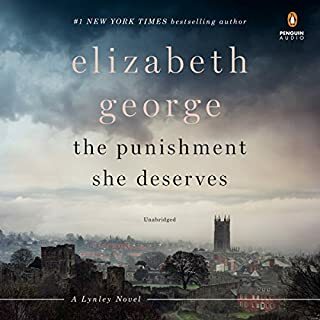 I love the books, but I find it difficult to listen to the audio books narrated by Porter, because she gets Lynley completely wrong. She makes him sound like an uptight irritating prig with no gentleness or compassion, when it is precisely these characteristics (gentleness and compassion) that are central to his character in the books. He is one of my favorite characters in literature, but Porter makes him sound downright unlikeable. 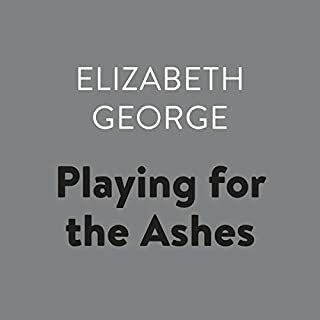 This is definitely book 1 or 2 not 3 or 4 as Audible suggests. It's slow to get rolling due to character and backstory development. It's a struggle to get to the middle where it finally takes off. The research seems weak, leaves one questioning the time and dates, but if a first book, understandable and even forgiveable. As a 4th book, it would certainly lead to questioning the writers skills. In this book, Simon and Deborah are not a couple, while in the first 3 they are married. Here we learn the history of Linley and Deborah in first person; 3 books into the series?? As you listen you'll find the inconsistencies frustrating if like me, you read a series in order. I've looked, apparently, this is seen as book 4. Seriously read it first. 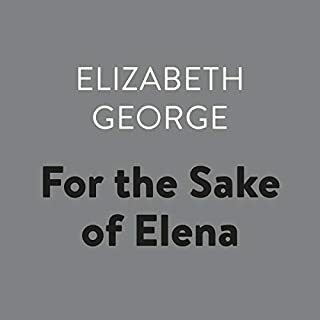 I had previously read 'This Body of Death', which had a good storyline so I tried this title from E. George. Yikes!!! I had not appreciated the term chick-lit in the past but this is a prime sample, which is good if that's what you want. However, what I'm looking for is a good story with interesting characters and some action. This book is long because around the kernel of an OK story is a LOT of detail about what characters are feeling, what they're wearing, their hair and accessories, their fears about what other characters might be feeling..... And the whole story is resolved by talking. For me, too much fluff over matter. The result is I'm now off EG books. Good book and best narrator! 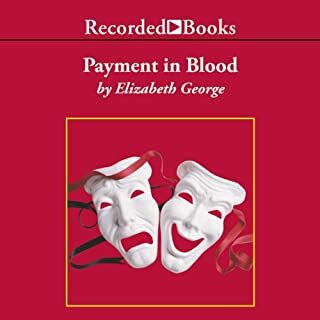 Davina Porter is the best narrator on Audible! She could read the phonebook and make it come alive.